Ants are one of the most fascinating and extraordinary organisms on Earth. The ant society is extremely stable, compact and adaptable, but while ants can only survive as a colony, taken individually each ant is extremely remarkable by itself, too. Body size considered, ants are among the strongest beings in the world, capable of lifting and carrying objects a couple of times their own body weight. How do ants do this and is there a way human society might benefit from this knowledge? Agile and super powerful robots designed analogous to ants could be capable of much more than their contemporary clumsy brethren. 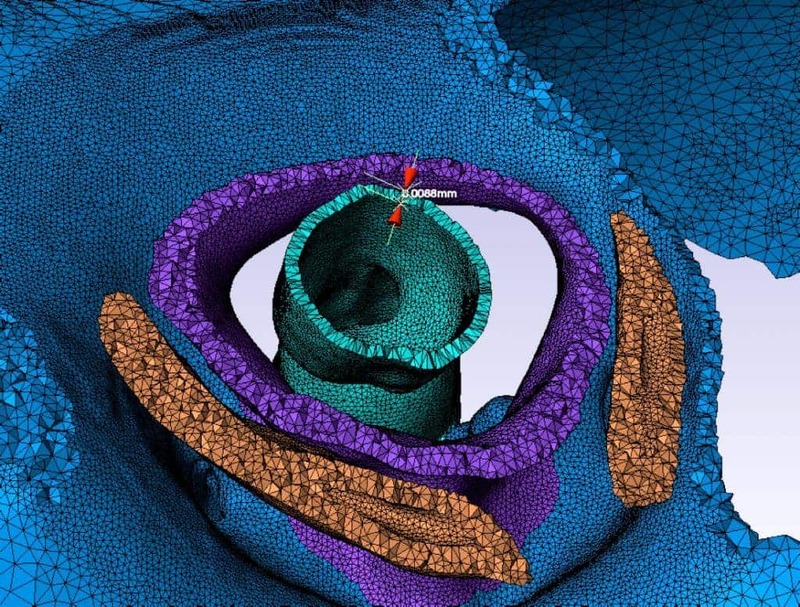 A team of researchers at the Ohio State University has began to unravel this mystery. Their study focused on the single most sensible ant body part – the neck. The single joint of soft tissue that bridges the stiff exoskeleton of the ant’s head and thorax. When an ant carries food or any other object, the neck joint supports the full weight of the load. To understand how the ant’s neck is capable of withstanding such great pressure, the Ohio State researchers developed 3-D models of the internal and external anatomy of an Allegheny mound ant (Formica exsectoides). These were made by introducing X-ray cross-section images (microCT) of ant specimens into a modeling program (ScanIPþFE) that assembled the segments and converted them into a mesh frame model of more than 6.5 million elements. The finite element analysis was then processed on the powerful Oakley Cluster, an array of 8,300 processor cores (Intel Xeon) at the Ohio Supercomputer Center. In conjunction with the simulation, lab experiments were carried out that used a centrifuge to measure changes in the ants’ anatomies under a range of calculated loads. 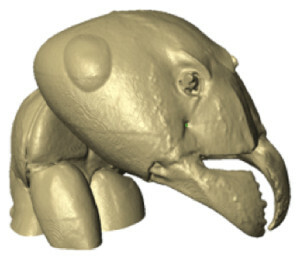 Both models and experiments revealed that the ant’s neck joints could withstand loads of about 5,000 times the ant’s body weight, and that the ant’s neck-joint structure produced the highest strength when its head was aligned straight, as opposed to turned to either side. “The neck joint [of the ant] is a complex and highly integrated mechanical system. Efforts to understand the structure-function relationship in this system will contribute to the understanding of the design paradigms for optimized exoskeleton mechanisms,” said former Ohio State student Vienny N. Nguyen in her 2012 master’s thesis on this research. Findings appeared in the Journal of Biomechanics.